It is my beautiful sister's birthday today and sadly I can't be with her as she is all the way in Kurdistan. This is the only picture of us together on the day I married Rich; I am so grateful to our good friend and photographer Rich Spencer for capturing this as in all the bustle of the day we never got the chance for a cheesy pose together! 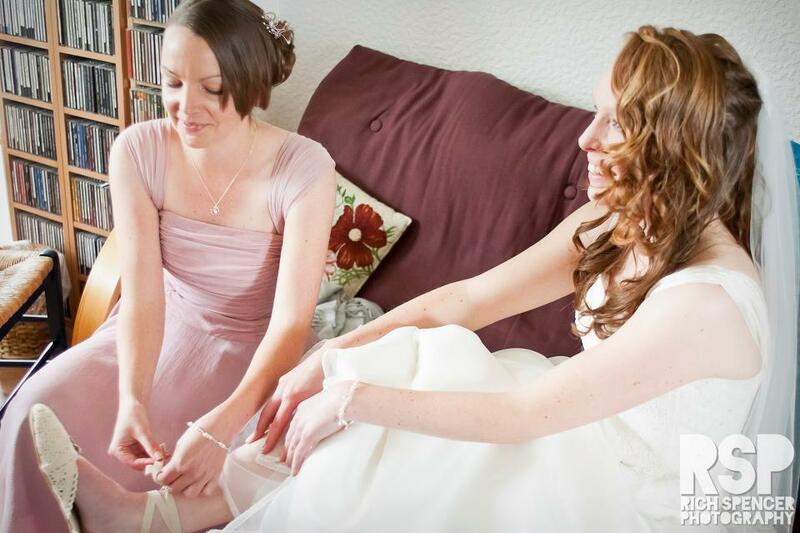 I adore this photo; Lynne did so much to help us get ready for our wedding right down to tying my shoes for me! I love that woman and really hope she is having a happy birthday all those many miles away!